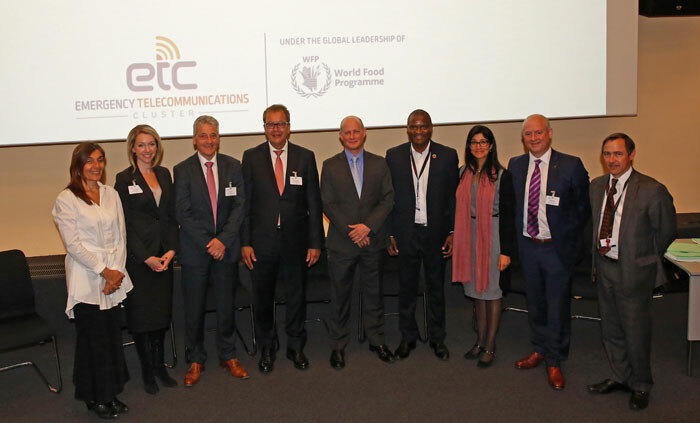 Paris, Luxembourg, 18 May 2018 – Members of the satellite community, including Eutelsat, signed yesterday contribution agreements with the United Nations World Food Programme (WFP), on behalf of the Emergency Telecommunications Cluster (ETC), stepping up their commitment to support global disaster relief. 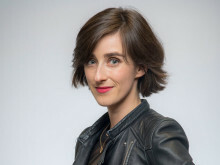 These contribution agreements are the final steps in operationalizing the Crisis Connectivity Charter signed in late 2015 between the EMEA Satellite Operators Association (ESOA), the Global VSAT Forum (GVF), the UN Office for Coordination of Humanitarian Aid (OCHA) and the ETC. The Crisis Connectivity Charter signed by Eutelsat, Arabsat, Global Eagle, Hispasat, Inmarsat, Intelsat, SES, Thuraya and Yahsat, will help the humanitarian community by greatly enhancing their access to vital satellite-based communications when local networks are affected, destroyed or overloaded following disasters. Under the contribution agreements, the Charter Signatories are now committing satellite equipment and capacity that will be dedicated for humanitarian purposes during emergency responses. The ETC, under the global leadership of WFP, will be able to activate the Charter when disaster strikes and identify which pre-planned solutions are immediately available for any given region and need in order to meet a 24-hour deployment timeline after a crisis. Eutelsat’s contribution agreement consists principally of pre-allocated bandwidth on four of its satellites across the globe, complemented on the ground by ready-to-deploy satellite kits. Eutelsat has been actively involved with the humanitarian community for 25 years, sharing industry’s belief that satellite services play an important role in disaster relief. With the increasing number of protracted, complex emergencies and high demand for bandwidth, the commitments from the global satellite industry are timely and will be critical assets for the humanitarian community. The satellite industry’s contributions will enable Internet access during emergencies to support humanitarian operations including logistics, urgent medical care, food delivery and the coordination of relief efforts.The Charter Signatories have also provided training and capacity building for WFP and ETC partners’ field-staff on the installation and use of the satellite equipment to be deployed. 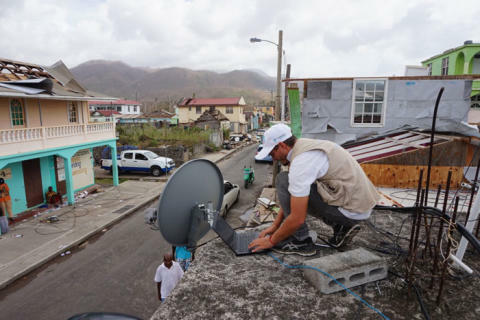 Since signing the Charter, satellite operators have been active on all continents supporting WFP, governments and NGOs during Hurricanes Irma and Maria, and in Haiti, Nepal and Vanuatu to name just a few. Via satellite they have enabled VOIP, WiFi and Internet Access to support supply logistics, urgent medical care and coordination of relief efforts. Founded in 1977, Eutelsat Communications is one of the world's leading satellite operators. With a global fleet of satellites and associated ground infrastructure, Eutelsat enables clients across Video, Data, Government, Fixed and Mobile Broadband markets to communicate effectively to their customers, irrespective of their location. Over 6,800 television channels operated by leading media groups are broadcast by Eutelsat to one billion viewers equipped for DTH reception or connected to terrestrial networks. Headquartered in Paris, with offices and teleports around the globe, Eutelsat assembles 1,000 men and women from 44 countries who are dedicated to delivering the highest quality of service.